ATOM PHOTOGRAPHY : Capturing single atom with an ordinary camera. This has been done by PhD candidate David Nadlinger. 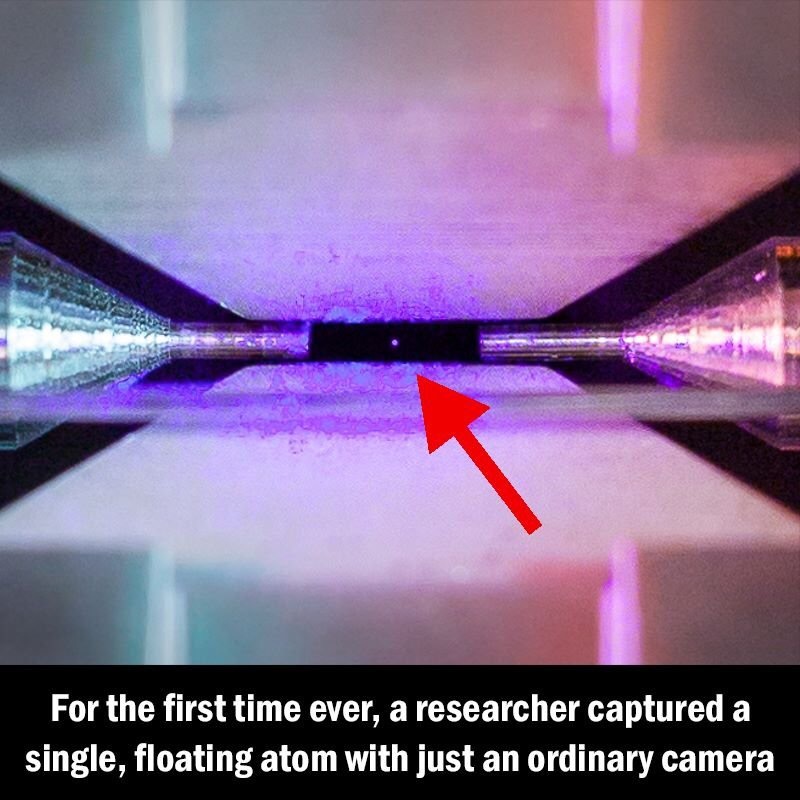 Using long exposure on his camera, he took a picture of an atom illuminated by a laser, while it was suspended in the air by two electrodes. ( To give a sense of scale for this photo, the two electrodes on either side of the atom are just 2mm apart). The reason why you're able to see the atom is because it absorbed and re-emitting the light particles that the laser projected.